API, Excipient, and Dosage Form Characterization Solutions for the Identity and Control of Critical Quality Attributes (CQA). Quality by Design (QbD) and its systematic approach to development begins with a predefined objective and emphasizes sound science and quality risk principles as an integral part of product development and process control implementation, and can help to achieve the Target Product Profile (TPP). New 16 page brochure on the applicability of material characterization. Recently there has been a resurging interest in material characterization within a QbD framework that extends beyond the antiquated path of strictly measuring particle size. Properties such as surface morphology, porosity, particle shape, density, powder flow, and surface energy are increasingly becoming valuable tools to qualify materials, set specifications, develop new formulations, help ensure successful scale-up, and reduce manufacturing rejections and rework. Micromeritics, with over 50 years’ experience in Material Science instrumentation and development support, has introduced a new solutions catalog that specifically focuses on its material characterization instrumentation and contract lab services for use in the areas of preformulations, formulations-drug delivery, and process design/scale up. This new 16 page brochure illustrates the applicability of material characterization instrumentation and contract lab services to the critical areas of product and process development, and lifecycle management of a NDC/IDC (new drug or investigation candidate). 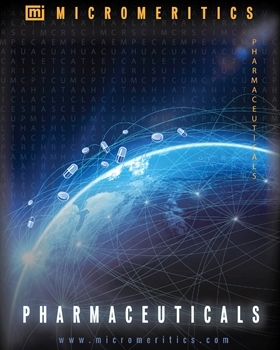 For a personal copy of this important QbD tool, go to the following link http://www.micromeritics.com/Product-Showcase/Pharmaceutical-Characterization.aspx or email Micromeritics at [email protected] for more information.